Awareness about online privacy is growing at the moment, but far too many of us are still burying our heads in the sand about this critically important issue. Even though most people are aware of the risks of having their personal data hacked, stolen, or slurped up by a surveillance-hungry Government, many still aren’t taking the necessary actions to keep it safe. But securing your online privacy is really not that difficult. With just a few simple steps you can completely overhaul your online privacy and go online with confidence. To help you, we have compiled our top 5 most effective tips to secure your online privacy. It seems like the whole world is addicted to social media these days. Whether it is Facebook, Twitter, Instagram, LinkedIn, Snapchat, or one of the countless other platforms, almost everyone seems to spend hours sharing every last detail of their lives with the world. But people often forget that information that they put on social media is often open for the whole world to see. If you really value your online privacy, the best thing you can do is delete all of these social media accounts. But if you can’t face deleting everything, at the very least change your settings to restrict access to your social media content to friends only. Most social media sites offer this, but few have it as the default setting, so you will need to make the change manually. 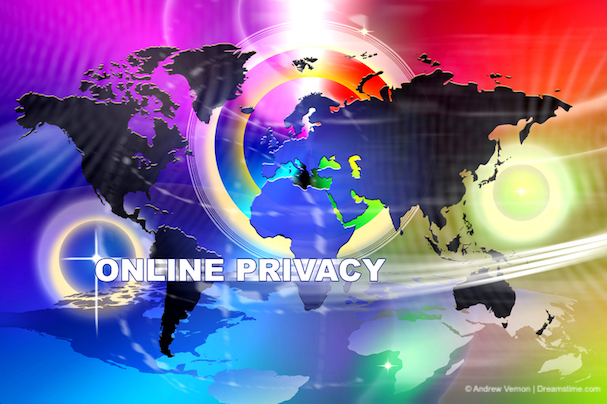 A VPN does for online privacy what anti-virus software does for online security. And these days, a VPN is every bit as vital too. Using a VPN means that everything you do online is encrypted. That makes it almost impossible for prying eyes to see what you are doing online. A VPN will also hide your IP Address, which helps to keep you anonymous online too. Both ExpressVPN, IPVanish and NordVPN come with well-designed and easy-to-use apps that even newcomers to VPNs will find easy to use. They also both offer strong encryption and great server networks located all over the world. ExpressVPN even comes with a 30-day money-back guarantee if you are not completely satisfied and you can get 3-months free on their annual package. No-one who goes online should be without a VPN these days. Whether using a computer or mobile device, a VPN is the must-have online privacy tool. If you need to stay in touch with friends and work colleagues online, then why not use one of the many encrypted chat apps currently available. Messenger services like Signal, Telegram, WhatsApp and even Apple’s iMessage service offer instant online communication which is encrypted and therefore keeps everything you send completely private and secure. You can send messages, images, videos and even documents totally securely. You may have seen the various headlines about the US and UK Governments wanting backdoor access to encrypted communications. It is these encrypted chat apps they are upset with. And if you keep user data so private it upsets the world’s most powerful governments, you must be doing something right! Privacy Badger – A free browser plug-in from the Electronic Frontier Foundation (EFF)which automatically blocks spying ads and invisible trackers. HTTPS Everywhere – Another great EFF tool. This tool forces your browser to open the more secure HTTPS version of a website wherever one is available. Adblock Plus – A great free plugin which blocks unwanted adverts, pop-ups, banners, etc. DuckDuckGo – A private search engine. Use their free plugin to enjoy all the benefits of Google without any of the risks. Last but by no means least, take the time to read the privacy policies of the services and websites you access. Most privacy policies are not as long as you might think and, especially since the new GDPR regulations came into force, are usually pretty transparent. Take the time to find out what these sites are doing with your data. If you don’t like what you read, just switch to a more privacy-friendly alternative. Don’t like Facebook? Why not try OpenBook instead? Shocked at how insecure Facebook Messenger is? Try Telegram instead. Securing your online privacy really can be as simple as that. It takes maybe an hour or so of your time, download a few tools, and switch a few programmes. But by doing it, you can have confidence in your online privacy. It takes very little effort to do, but the rewards are significant. No-one ever ensures their online privacy and then has cause to regret it. Do you have any privacy tips to add to this list? I’d love to know. Why not let me and others know your personal privacy tips in the comments section below.